At Gold Star Law, our unpaid wages attorneys regularly field questions about working “off-the-clock.” Lots of employees have to work “off-the-clock” for their jobs, doing work that they are required to do beyond the time they are paid to work. If you have to work “off-the-clock,” can you get anything for that extra time? The first question is whether you are non-exempt. Under the Fair Labor Standards Act, most employees are entitled to at least minimum wage for all hours worked, and one-and-one-half times their regular rate of pay for overtime hours (hours over 40 per week). However, certain employees are “exempt” from these requirements, meaning they don’t need to be paid for all hours worked and/or don’t need to be paid time-and-a-half for overtime. Whether you are “exempt” is a matter of law- your employer cannot just decide to classify you as “exempt” and not pay you properly if you don’t meet the legal requirements for the exemption. If you believe your employer may have misclassified you as “exempt” when you should be entitled to overtime, contact us to find out what you may be owed. Let’s assume that you are non-exempt, and your employer normally pays you an hourly rate for all hours worked and one-and-one-half-times that rate for overtime hours. The next question is whether your “off-the-clock” time is compensable. The legal standard is whether the employer “suffered or permitted” you to work these hours. This means whether your employer required or allowed you to work. Even if the employer said you did not have to work the extra time, but knew you were doing it anyway, the time counts as hours worked and is compensable. Waiters at a restaurant are required to arrive an hour before the restaurant opens to set up tables, prepare silverware, and clean. However, they are only paid for time when the restaurant is open. Because they were required to work, the hour before the restaurant is open is compensable time. A bookkeeper has more work than she can complete during her regular office hours. She asks her boss if she can take some of her work home to complete after work. Her boss says she does not have to do it, but she is welcome to take her work home and finish it there if she wants to. The time spent working at home is compensable time. A paralegal is having trouble keeping up with his work. Unbeknownst to anyone else, he sneaks work home to finish after hours, so that he can look like he’s getting everything done during his regular work hours. The time spent working at home is not compensable time as long as the employer does not know about it. So let’s assume that you have worked “off-the-clock” and that the time is compensable. The third question is this- what can you get for it? Generally, you are entitled to the actual pay that you should have received plus an equal amount as “liquidated damages,” effectively doubling your unpaid wages. However, you can only go back two or three years (three years if you can show that the employer’s failure to pay was “willful,” two years otherwise). This means that if you’ve been working “off-the-clock” for more than two years, you should take action quickly to recover as much of your unpaid wages as possible. 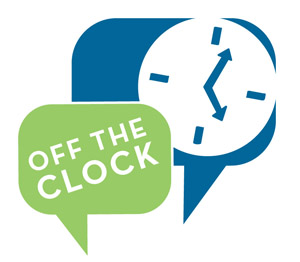 Contact us if you’ve worked “off-the-clock” and would like to recover your unpaid wages. The unpaid wages attorneys at Gold Star Law are ready to help.